In March 1945, Hosegood became the Royal Navy test pilot at the Joint Service Helicopter Test Unit of the Airborne Forces Experimental Establishment (AFEE). He left the Royal Navy in November 1946, and flew for the Trinidad Petroleum Development Company for two years. 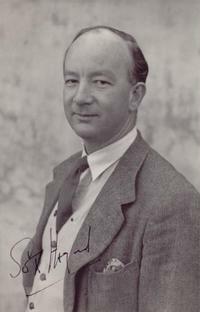 He joined the Bristol Aeroplane Company (BAC) in 1948, to assist in helicopter test and development. “Sox” became the Chief Helicopter Test Pilot in 1951. 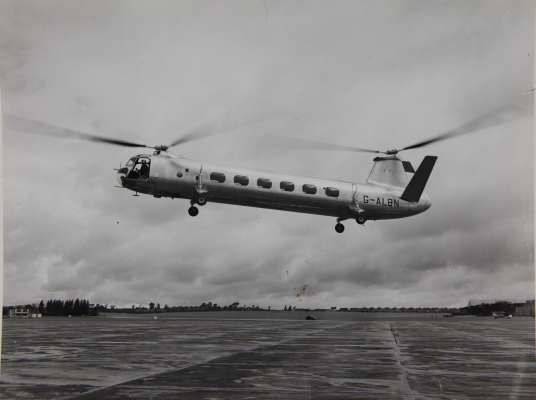 Working for Raoul Hafner, Hosegood was a leading influence on the way that rotorcraft were developed in the UK. He conducted much of the later flying of the tandem rotor Bristol Type 171 Sycamore, and in it obtained the first Certificate of Airworthiness for a British helicopter. He made the maiden flights of the larger Types 173 Mk1 and Mk2, and conducted sea trials of the Mk1. Hosegood also made the initial flights of the much larger Type 192 Belvedere, which went into service with the Royal Air Force. After Westland acquired Bristol Helicopter and closed the site in 1963, Hosegood joined the South-western Electricity Board to set up their Helicopter Unit for power-line inspection duties, which he managed until his retirement 20 years later. Hosegood was a Fellow of the Royal Aeronautical Society, a founding member of the British Helicopter Association, and a member of the British Helicopter Advisory Board. Charles Thomas Dennehy “Sox” Hosegood passed away on February 17, 2014, at the age of 93.